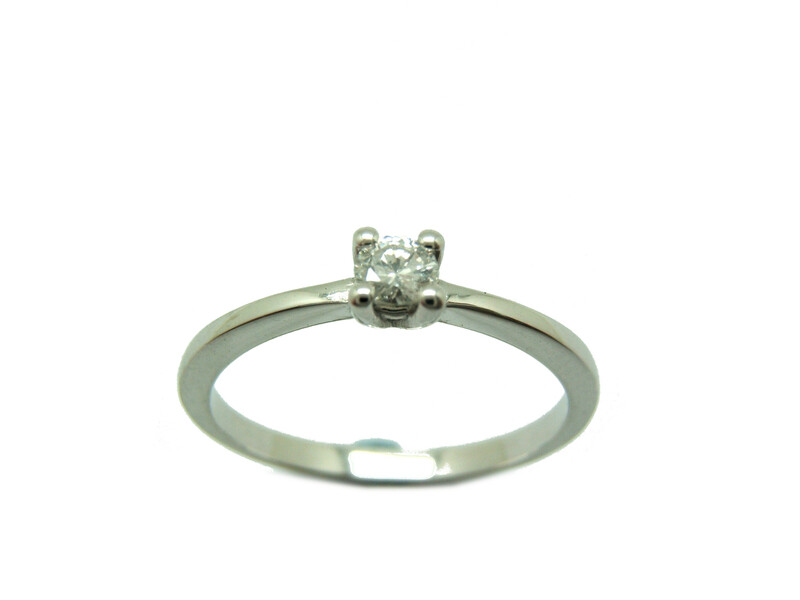 Brilliant-cut Solitaire ring made in white gold with Palladium of 750/000 with a diamond. Measurement of ring: 16 lastra TATUM. This ring made and manufactured by "Master craftsmen".